Hearing loss is one of the most prevalent ENT problems in not only in Arkansas but the whole of the United States. Around 10% of the whole US population have some degree of hearing loss. Twenty-five percent of people ages 65 and above have hearing loss, while all children experience some degree of hearing loss due to various reasons before reaching 18 years old. 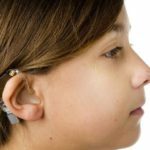 While some hearing loss problems are temporary and permanent cases can be treated with the help of an excellent Arkansas Center for Ear, Nose, Throat, and Allergy doctor, it is always rewarding to be prepared for it. One way to do this is by identifying causes of hearing loss so they can be treated before things get out of hand. Some of the most common causes of wearing and tearing of the nerve cells in the cochlea include aging and exposure to loud noises for a long time. The hair or nerve cells in the cochlea are responsible for sending sound signals to the brain, and once they are damaged, this sending of electrical signals become inefficient, leading to hearing loss. In such cases, it will be hard for an individual to decipher sentences said in a high pitched tone. It will also be tough to pick out words against background noises. In some cases, susceptibility to this condition is inherited from parents and may result in sensorineural hearing loss—a permanent hearing loss condition. Earwax is very important for the ear, as it is a way to lubricate the inner air and keep off bacteria. However, when earwax starts to build up, it may cause a blockage which leads to hearing loss. This condition is not exclusive to children, as most incorrect notions imply, but may also happen to adults. This condition can be alleviated by earwax removal through the help of an Arkansas Center for Ear, Nose, Throat, and Allergy doctor. Ear infections caused by different factors, as well as skin growth and tumors can lead to permanent hearing loss and needs immediate attention of a reliable ENT expert. Also known as tympanic membrane perforation, this can be caused by loud blasts of noise, sudden pressure changes, eardrum damage by poking solid hard objects and eardrum infection can lead to hearing loss. Some hearing loss conditions can be temporary with some treatment. For permanent hear loss, optional treatments are available to help you hear again. To learn the most fitting treatment, consult an Arkansas Center for Ear, Nose, Throat, and Allergy doctor today!